Lake Manitou is located in the small, bustling city of Rochester, Indiana. Surrounded by a park and nature preserves, the spring and ground water fed lake covers 775 acres and provides recreation and relaxation for residents and visitors alike. This charming all-sport lake, located 45 miles south of South Bend, provides activities such as fishing, boating, waterskiing, swimming and kayaking. Visitors can also enjoy great golfing at nearby public courses, or take leisurely bike rides along the Nickel Plate Trail. Surrounding nature preserves provide unique wildlife and bird watching opportunities you wouldn’t expect inside city limits. Check out the video below for a sneak peek at the Lake Manitou! Click HERE to see a map of Lake Manitou. In 1827 on what is now the are south of the dam, the U.S. government constructed a grist mill for the Potawatomi Indians under the terms of a treaty. To obtain water power, a dam was built near its present location. This flooded the area around five lakes and formed Lake Manitou. Near the mill were erected a blacksmith shop, trading post and a house. The dam, mill and village fell into disuse after the Potawatomi were removed to Kansas in 1838. 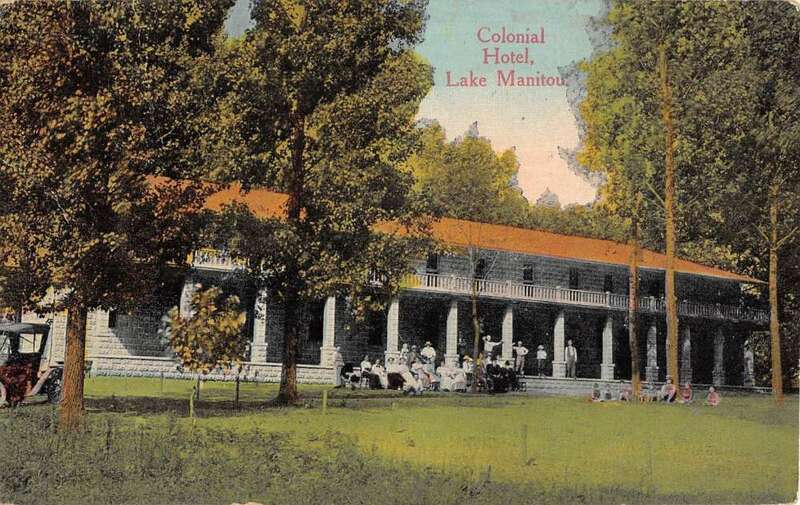 Lake Manitou derives its name from the Potawatomi word “spirit”. The Indians, who fished and hunted in this area for 150 years, believed the lake’s waters held a monster fish or serpent of supernatural powers. Early settlers knew the lake as “Devil’s Lake”. During the early and mid-1900’s, the lake was home to many resorts and hotels, attracting thousands of visitors each year to swim, fish, and dance under the stars to some nationally known big bands.